The high-speed gondola at Gore Mountain. Winter has arrived in the Lake George Area in New York’s Adirondacks. From scores of winter events, including festivals and unique holiday happenings, to unparalleled outdoor adventure in the Adirondack wilderness, plan a visit this winter to experience the Lake George Area’s easily-accessible winter wonderland offering enjoyment for everyone, both indoors and out. 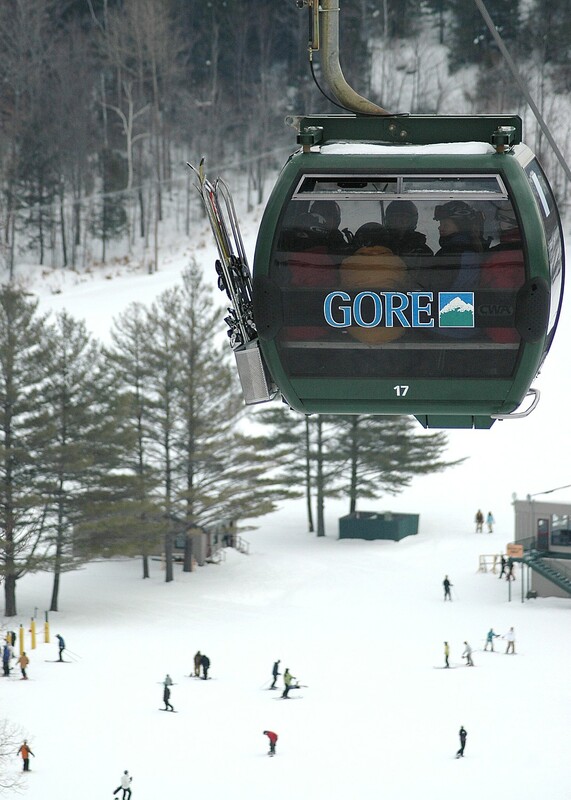 Ski or ride the slopes at North Creek’s Gore Mountain, where nearby North Creek Ski Bowl is celebrating 80 years of winter recreation. Arrive on the famed snow train and enjoy easy, full mountain access with free shuttle service to and from the mountain. Swing into West Mountain Ski Area for a friendly day on the slopes! For over 50 years, West has offered downhill adventure to skiers and riders of all ages and abilities in addition to snow tubing. With a new operator in place for the 2013 – 2014 season, improvements are underway in the base lodge, snowmaking efforts are being ramped up, and WiFi will now be available for all guests. A glacier ice bar will premier this winter at The Sagamore Resort in Bolton Landing when 18,000 pounds of ice will be transformed into an outdoor bar and lounge. The spectacular waterfront location of the Sagamore is guaranteed to provide a winter wonderland experience – a wintry attraction not to be missed! Bundle up for a winter adventure – and save a bundle, too! With a variety of affordable mid-week lodging deals and Adirondack weekend getaway options, the Lake George Area invites you to journey and explore this winter without breaking the bank. Reward yourself and enter for a chance to win an overnight stay for two in the Lake George Area! Lucky winners will receive an all-inclusive getaway that includes lodging, breakfast, indoor and outdoor winter activities, and more. Enter by visiting http://county.visitlakegeorge.com/contest/. The Lake George Area in New York’s Adirondacks is an easy-to-reach, affordable, year round vacation destination for the whole family. For information on lodging, camping, dining, events, recreation and activities call 800-365-1050 X5100 or head to http://www.VisitLakeGeorge.com. Four great seasons – one outstanding destination!